Have you needed a lip scrub that heals cracked, dry or damaged lips? If so, Paula’s Choice Lip Perfecting Gentle Scrub is just what you need to heal your lips and keep them smooth and soft as well. 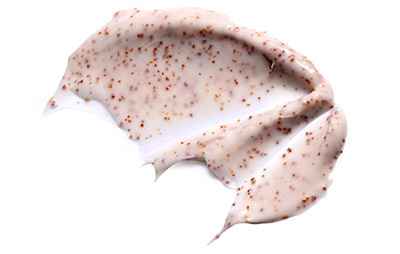 This scrub gets rid of irritating, dead skin cells from your lips. The creamy scrub is able to provide exfoliation on your lips to make them smoother and softer as well. The manufacturers of this scrub say it is helpful to use it before applying lip gloss, lipstick and lip balm. This creates a better moisturizing balance in the lips along with treating the lips for damage. It also makes your lips look smoother too. This is a part of vegetable oil and is often used in beauty related products. It brings moisture into the lips through the skin’s surface. It then lubricates, soothes and even cleanses the lips. Cellulose Gum. This holds a film on the skin’s surface to make the lips become more moisturized. This preservative keeps the lips healthier with regular use of this product. This is used to work as the anti-irritant aspect of this scrub. This is the scrubbing agent of this product and it exfoliates your lips in the process of scrubbing. Grape Seed Oil. This brings minerals, other elements, proteins and vitamins into your lips to create healthier, fresher and younger skin. Shea Butter. This is used commonly in beauty products. It works on lips to moisturize them. It also keeps them from getting chapped or dried out later. These are the ingredients that are being used in Paula’s Choice Lip Perfecting Gentle Scrub. Before you plan to apply Paula’s Choice Lip Perfecting Gentle Scrub to your lips, you need to get makeup off from your lips and wash your hands as well. You can then rub your lips with scrub that you put onto your fingertips. The following step is to rub your lips in circular motions for at least half a minute without putting too much pressure onto your lips so you prevent any further damage. Finally, you are able to rinse the lips with water. As you can see these are amazing benefits for this beauty product! There are no side effects to report. If you have allergies from a natural ingredient in this scrub don’t use it. It also is not allowed in the state of Illinois as the polyethylene micro-beads aren’t healthy for the environment. This is a scrub that is quite popular in healing cracked, chapped and dry lips. It is excellent for using during winter. The only bad thing noted with this scrub is the negative impact the polyethylene micro-beads have for the environment.